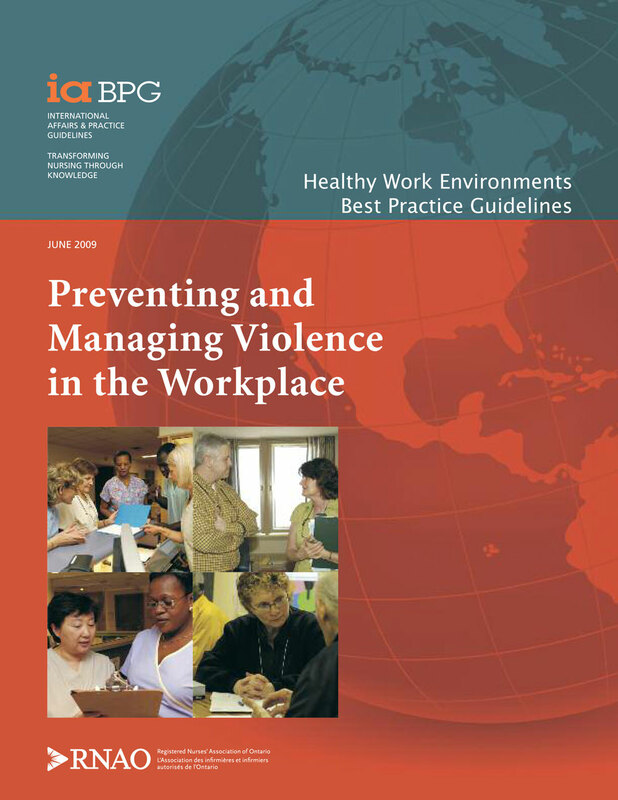 Identify strategies to plan, implement and evaluate outcomes related to recognizing and assessing the risk of violence in the workplace, thereby fostering healthy work environments for nurses and supporting healthy outcomes for patients/clients, organizations and systems. Identify individual, organizational and system resources that support prevention, recognition and early detection and effective intervention related to violence in the workplace. Identify outcomes related to prevention, recognition, early detection and successful mitigation of violence in the workplace. Organizational, operational and system policy requirements.